Back in 2004 when Microsoft was still confused about what build numbers to use for Windows Codename Longhorn, it was like puberty for concept art and codenames: dribble on Aero, draw with Avalon, talk on Indigo, store in WinFS and wrap around WinFX. Everything aside, I think the best thing that came out of WinHEC 2004 was this picture. When I first saw that picture, I went “Wow. Longhorn looks amazingly polished.” Of course I didn’t know it was one of many Macromedia Director demos showcased. Nevertheless, time moved on. September 2006. 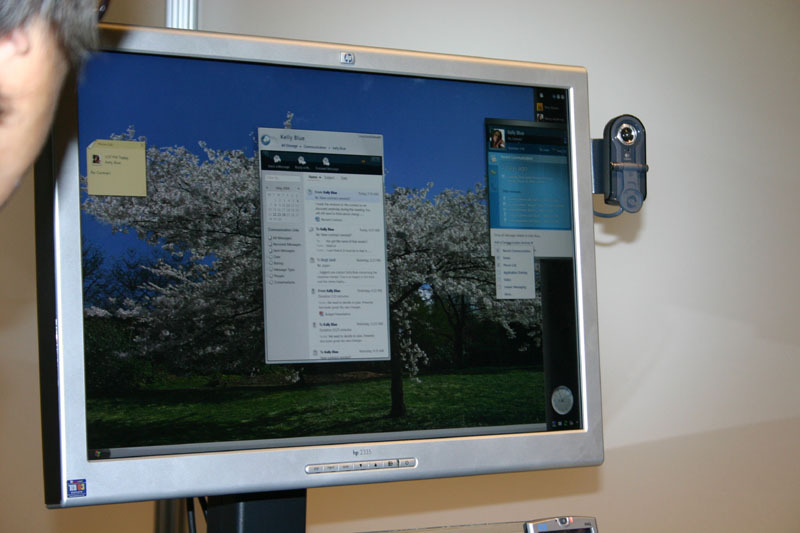 Windows Vista RC1 released. Bit of a bummer in the UI area. Better than any Vista beta, but worse than any Longhorn concept art. 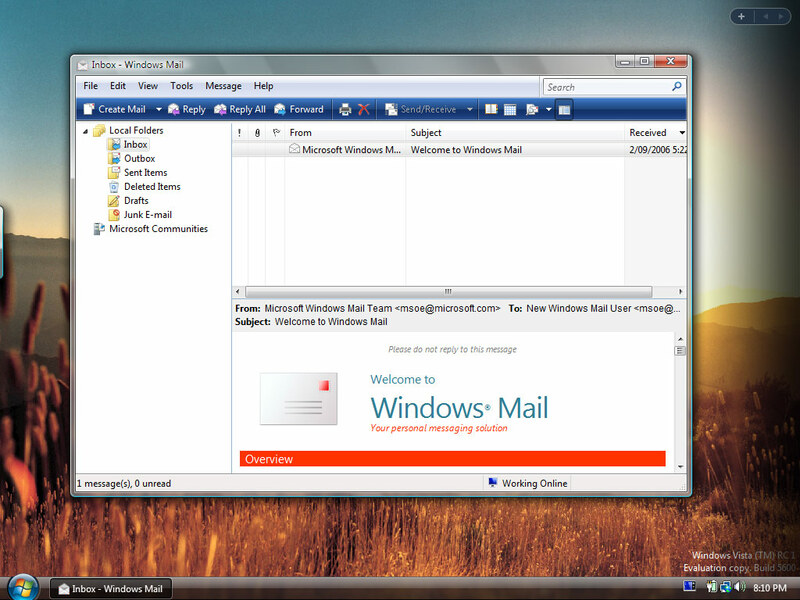 And just to demonstrate, I mocked up what I would have hoped as the “Longhorn-standard” for Windows Mail. The Windows Vista UI is an evolution, not a revolution. Oh well. All bets are off for Codename “Vienna”. What is Windows Mail? A reskinned Outlook Express with a search box, plus a new Help/About dialog. Far from revolutionary or even evolutionary. Nice mock uup though, very nice. dude… why aren’t you working for microsoft? Because…I’m scared of their interview process? Wow, Long… that’s a pretty nice mockup! “Vote Long for the MSX team!” Hehe. I hate the inconsistencies in Aero. Microsoft should see this and hire you as a designer. Your mockup is exactly how I picture Vista SHOULD be. It’s a shame MS is letting this happen. 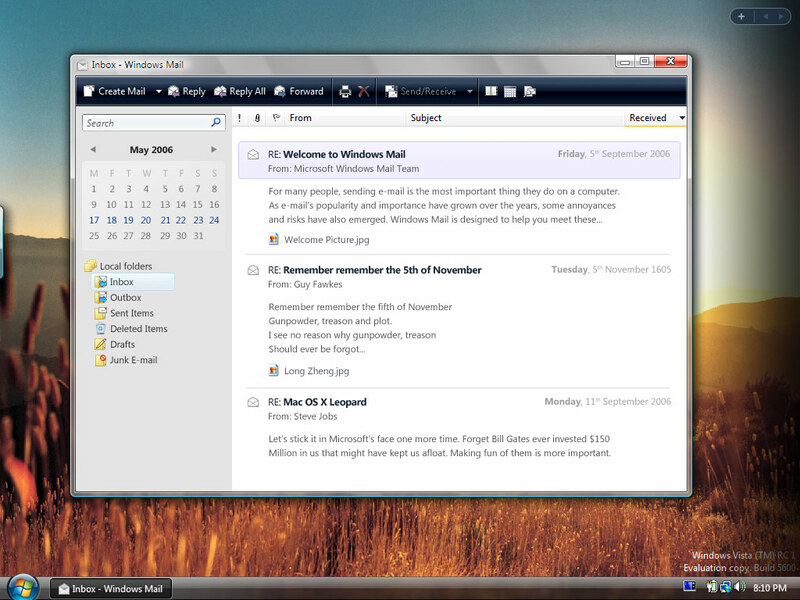 This mockup looks much better than default (horrid) Windows Mail interface!